If you were to ask Aaron Myers what he’s doing on any given weekend, more than likely you’ll get the response “Working” followed by a slight grin. As one of DC’s many jazz musicians, Myers has been fortunate to consistently secure two “Artists Residences” that has kept him quite busy over the last six years. For five and over 140 shows of those years, you would find him at the now defunct Black Fox Lounge in the Dupont Circle neighborhood. Now, you can find him weekly with the Capitol Hill Jazz Jam and every Fourth Friday for his featured show at Mr. Henry’s, the legendary Capitol Hill establishment that launch Roberta Flack. As announced at his last show, Myers is joining the ranks of many other national musicians and crowdfunding his new project “The Lion’s Den” that he hopes can be recorded and submitted by this year’s Grammy Deadline of August 26th. Crowdfunding is the practice of raising money for a venture by asking large numbers for small amounts. “My last album was recorded in New York City in one day.” said Myers, “the band was exhausted, the product made it to the Grammy Ballot and was nominated for the Wammie.” The Wammies is the awards hosted by the Washington Area Music Association. The Grammy Deadline is August 26th and Myers is confident DC and his fan base will carry him over the threshold, and his submission will be on time. To donate towards his cause go to gofund.me/6e2arbp94. 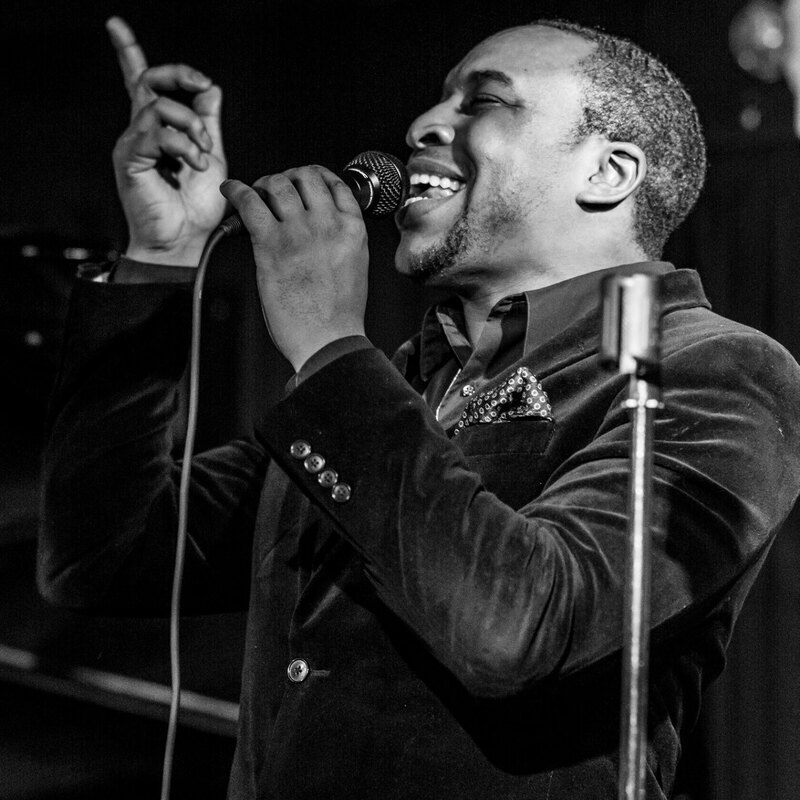 Jazz Vocalist/Pianist Aaron Myers released the new single “Stand Right” March 23rd, an ode to the DC Metro system. A native Texan, Myers served as the Resident Artist at the Black Fox Lounge in Washington DC boasting 5 years and 147 headliner shows at the venue before its closing December 31, 2014. Releasing this single, he will debut the song at To uche Supper Club this Saturday, a new venue in the H Street Corridor in DC. “When Oren Levine brought the song to me I jumped at it” said Myers. Oren Levine is a jazz pianist/composer who also played with Myers at the Black Fox Lounge. Over the years they developed a musical appreciation for each others style, going on to record together. 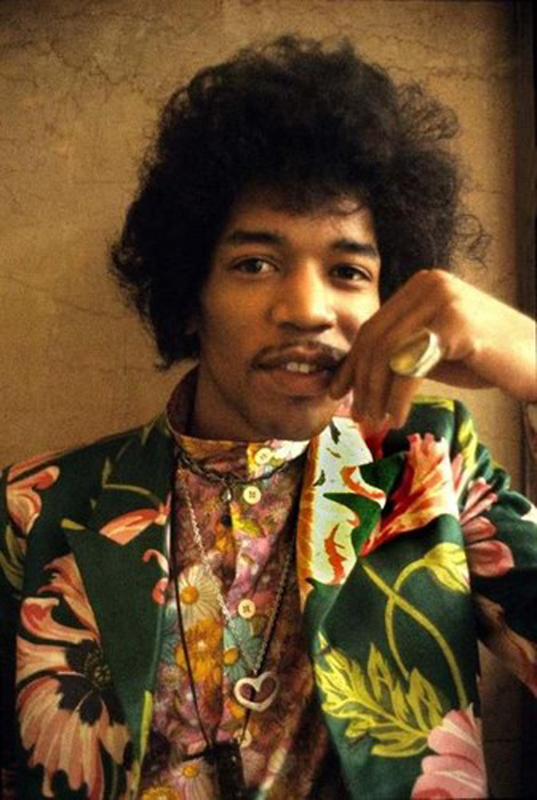 “As a Jazz Singer, it is nice to have someone write music with your style in mind. It reminds me of the musical partnerships of old.” The new single speaks of the turmoil local DC residents go through when in a rush doing their daily routines but slowed by visitors who have not yet learned the DC Metro Etiquette. A common occurrence, the story is told with a jazz flare. This is not be the only collaboration between Myers & Levine. A series of songs have been recorded and will be released at a later date. 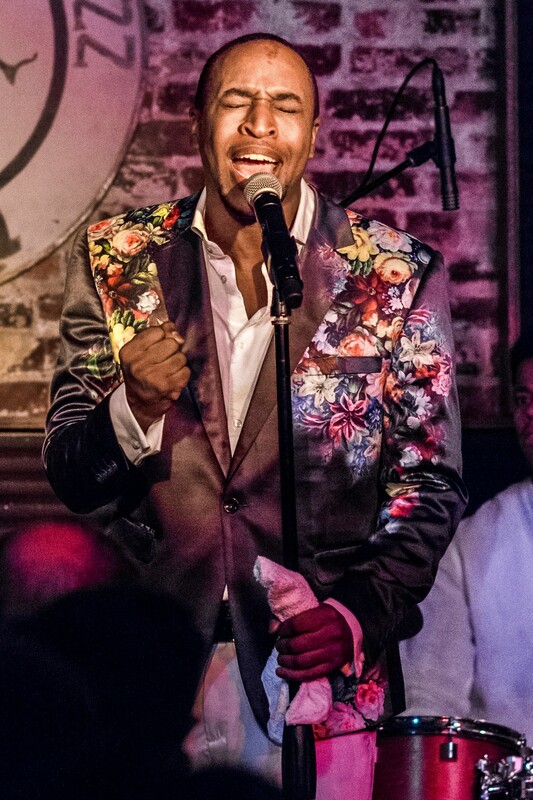 “I am looking forward to the jazz community hearing more of our work!” Myers will debut the song live for an audience this Saturday during his debut performance at Touche Supper Club. “Stand Right” can be downloaded on iTunes, GooglePlay Store, CD Baby, and other online streaming services. 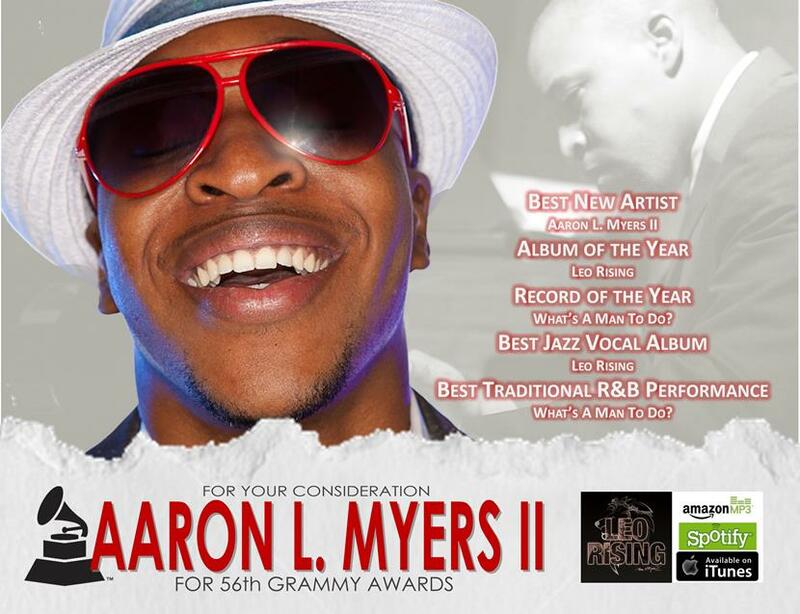 Aaron Myers & Co will play Saturday March 28th at 7pm (doors open at 6pm) with a $20 cover. Touche Supper Club is located at 1123 H Street NE. This will not be the first show played by Aaron Myers in the H Street Corridor. “I played a show a few years ago with a singer at HR-57 and was shocked with all the passers by who heard the music and came in. I do hope that energy will continue in that area” HR-57 served the Jazz community for 21 years and was named after H.Con.Res 57 which designated Jazz as “a rare and valuable national American treasure”. Don’t you just love Facebook? A place where you can connect with your friends, share articles about issues you feel are important, vent about people or situations, Facebook has become integrated in the American culture just as talking pictures or color television. Whereas birth announcements, engagements, and weddings were first announced in the paper, instantly we can scroll through our timelines and be updated on the latest news within our communities and the lives of our friends. An even wider spectrum is uncovered as we can also see how we are connected to others. New acquaintances can be vetted by seeing what friends are shared mutually. As articles, statements or events are shared, comments are posted and it is that time one is able to see, at least to a degree, who your friends…call friend. Have you ever had the experience of scrolling through your timeline and seeing a shared post, article, or video you did not expect to see posted from a friend? Perhaps, you shared a post yourself and was shocked by the reaction you received from your friends or “Friends of Friends.” Facebook has exposed the differences within relationships, whether religious, political, racial, ideological, or what have you, that had previously been hidden or politely ignored for the sake of pleasant company or conversation. 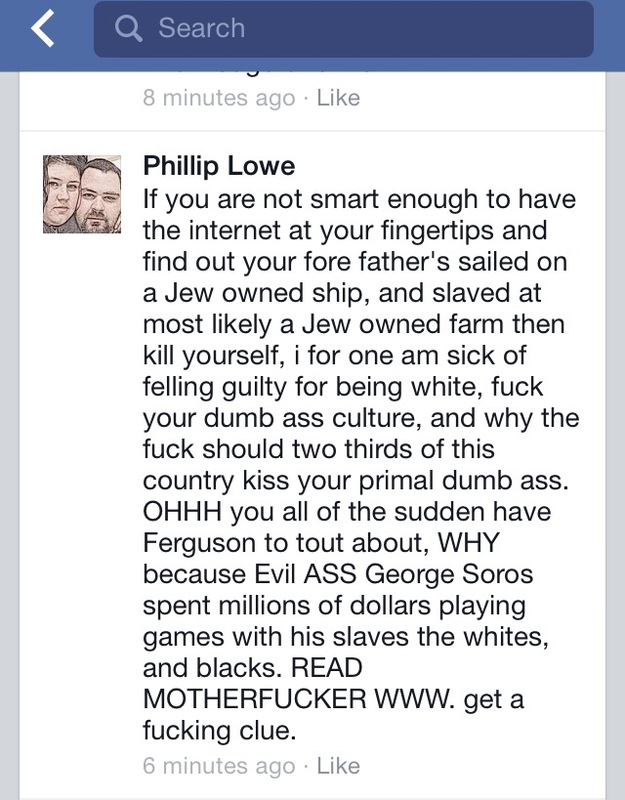 What happens when you discover that your “Friend of a Friend” is a racist? I’ve been faced with this many times. I am a proud Southerner (5th generation Texan), I’m a proud African American Man (My Great-Great Grand Parents were slaves), I am a proud Veteran (September 11th happened while I was in Basic Training) and I am a proud Progressive (Registered Democrat). My upbringing has allowed me to have interface with people who believe, worship and vote differently from the way I do. Thinking back to my days in Kerens Elementary, I am often reminded of the words spoken daily by my kindergarten teacher, “Play nice and keep your hands and feet to yourselves.” I try daily to adopt this principle in my adult life, succeeding better some days rather than others, but for the most part, we all are forced to work with, interact with, and at times live with people who share opposing views. Everyday the art of compromise is seen on the bus, train, in traffic, on elevators, in work spaces, in church pews, in classrooms, in restaurants, in every place but congress it seems. The tension has become less evident in urban centers where a heavily populated group of diverse people are forced to interact with each other. The expansion of social media and the internet has made tensions less apparent in rural areas where diversity and necessary interaction between divers people may not be as frequent or optional. What do you do when a difference of opinion crosses over to apparent hatred, bigotry or racism…by the “Friend of a Friend?” When is the relationship of the “Friend” taken into account? Where do you begin when analyzing the strength of the shared strands within your relationship? How do you resolve the inner turmoil, resentment and dissatisfaction? The What, When, Where and How have been presented to me on many occasions. Minorities and members of the majority are faced with these instances, and forced to self consciously react…often times reluctantly because of friendship. Who wants to lose a friend right? The 21st century demands that we answer these questions out right. Understanding what racism is, whether fueled by either hatred or bigotry, and acknowledging it when seen is a start. Black’s Law Dictionary defines racism as, “A set of policies that is exhibited by a person or persons toward a group of people of a different race. Often antagonistic and confronting. The assumption of lower intelligence and importance given to a person because of their racial characteristics.” Regardless of how “close” you may be with a friend, when you have been left feeling you have experienced racism, the safe space lies within yourself to express your discomfort and to know a racist does not own the right to feel “comfortable” when this mindset goes against the constitutional rights of the whole. One can even view it as utilitarianism…the greatest good for the greatest number. In this case, that good is equality, and that number is America. When is the relationship of the friend taken into account? Immediately. As the strands within a relationship are tested, one must meet each test head on. One strand does not have to end a relationship, but it can certainly define a relationship. Relationships, friendships, are based upon boundaries. These boundaries are also where you can test the strength of these strands. If you make your boundaries known, the way those boundaries are respected then can define the future of that relationship. The hardest part of these interactions come when one is faced with the inner turmoil of experiencing racism through a different medium, from a person with a reference. We choose our music, jobs, food, health regiments often times at the recommendation of a friend. Friends have introduced friends that resulted in marriage while others often ask for a reference when applying for a job. Social media and the connections of mutual friends have played an important role in making the world smaller, more connected, and in many ways more enlightened. Understanding no two relationships are alike, one often expects that the bond and strands shared between an individual would be commonly shared with others, and although different, never crossing the line of racism, bigotry or hate. Unfortunately, this age old dilemma has plagued mankind for ages. Above was an example of a statement made to me by a “Friend of a Friend” that was followed by many other hateful attacks. I stated my discomfort, set my boundaries, my Friend removed those attacking racist posts, and reaffirmed my belief that friends do not have to agree on everything (especially politics) but can definitely agree racism and hatred have no place within our boundaries of friendship. 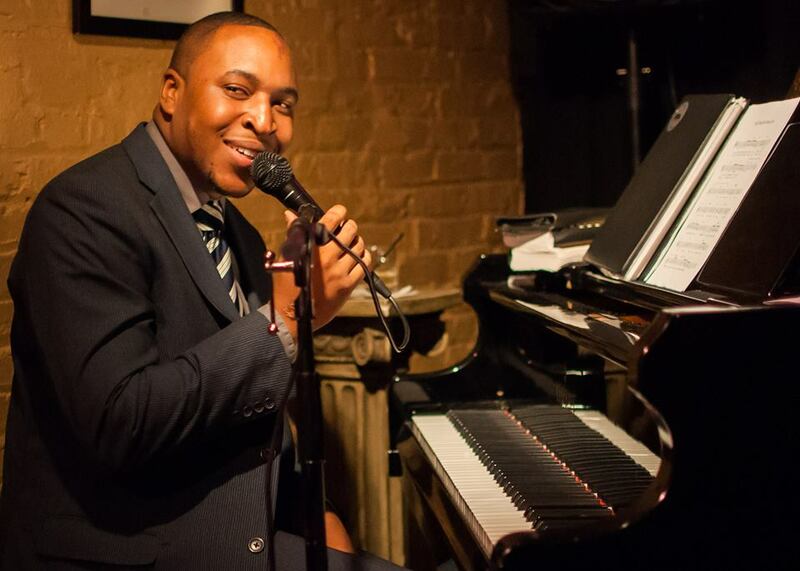 Just weeks after closing down the Black Fox Lounge in Washington DC, Jazz Vocalist/Pianist Aaron Myers debuts at Bethesda Blues & Jazz with his new touring band continuing his jazz quest here in the DMV. Myers served as the Resident Artist at the Black Fox Lounge in Washington boasting 5 years and 147 headliner shows at the venue before its closing December 31, 2014. Now, he starts off the new chapter in his career with this upcoming show and work on his new album “The Lions Den”. “I am excited to display my art in a beautiful venue where so many have played before” said Myers. Bethesda Blues and Jazz Supper Club is housed in the beautifully restored Art Deco Bethesda Theater built in 1938. Since opening, it has become the regions #1 Live Supper Club. “I’m now writing a new chapter in my career, and believe me, this is only the beginning!”. This will be the first show played by Aaron Myers since the end of his residency. “Expect some great Jazz, soulful Blues and a touch of Comedy. I plan on doing some old favorites, and to also give a tribute to Andrae Crouch during the show. He was and is one of my biggest influences.” Andrae Crouch, a gospel singer/songwriter/producer, responsible for revolutionizing the way Gospel Music is interpreted passed away January 8th. Aaron Myers & Co will play Thursday January 15th at 7:30pm with a $10 cover. Doors open at 5:30pm. Bethesda Blues and Jazz Supper Club is located at 7719 Wisconsin Avenue NW. Walking distance from Bethesda Metro stop.